Got a girlie girl at home? She is going to flip for the ultra adorable Speedo Logo Short Sleeve Girls’ Suntop in Chewing Gum, Bondi Blue & Penelope. This pretty bubble gum pink sun top features sky blue sleeves and an oversized Speedo logo scrawled across the front in daisy white. 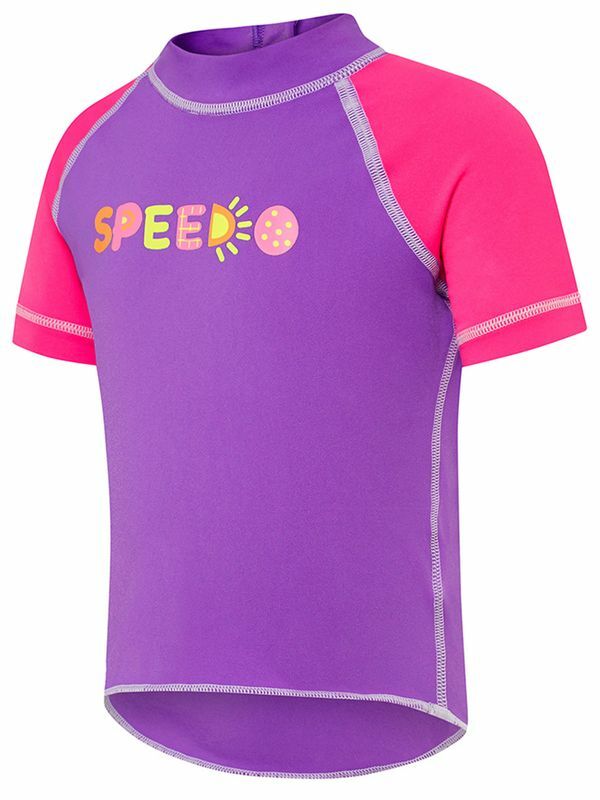 Penelope Pink Toddler Girls Short Sleeve Sun Top manufactured by Speedo Swimwear the worlds leading swimwear brand. Speedo is passionate about life in and around the water, creating revolutionary new technologies, designs and innovations.